During the holiday season, I am always trying to find new and fun things to do around my hometown and neighboring cities. I always find it to be quite a challenge to think of new things to do whether they are adventurous, romantic, relaxing, etc. My mind always goes back to the same few things..."wanna go see a movie?" "wanna go to that italian restaurant we've been to 20 times?" I know what I like, and it's hard to change my ways, but I've always enjoyed browsing through Groupon to find new and inexpensive things to do in my area. So today I was on a mission: find new and different sites like Groupon. Here I've come up with a list for YOU to enjoy new adventures this holiday season :) Enjoy and comment if you know of any additional sites like Groupon! Living Social is just as widely known as Groupon, and has a similar premise, but different deals. They cover everything from family friendly activities, to online goods, to local and international getaways. Yipit has many local deals for a big range of cities and areas within the US. Their deals also cover a wide range including getaways, goods, classes, food, etc. Eversave is not as location exclusive, but focuses more on travel and shopping. Here, they have discounts on vacation deals and goods. They also have a section for coupons and saving. If there is money to be made, Google is in on it, and daily deal sites are no exception. Google has city-specific offers such as health and beauty deals, food deals, and shopping deals. They also have a really good "adventure" section for those of your who enjoy an eventful day/night out! CBS Local Offers has a little bit of everything, but in my experiences it mostly has food offers, product offers, and class offers. It's always a great site to check! Bloomspot has 4 categories listed on its menu bar. Those categories are: mind&body, food&drink, beauty&style, and getaways. This site has a little more of a feminine feel, and its deals are unique (some sites seem to share the same deals). Just looking for deals on restaurants near you? Then look at this Groupon sponsored site called "Savored." Savored deals with only deals on food and restaurants. The only downside to this site is that it only features deals from a few major cities, so we small town girls may have to look elsewhere for a good restaurant deal. If Google is in on it, it's only a matter of time before Amazon gets in on the daily deals craze. Amazon Local Deals focuses mostly on goods and experiences, but don't count this site out. There are many great deals on here such as photo shoots, tanning sessions, etc. Gilt City has deals for many major cities. 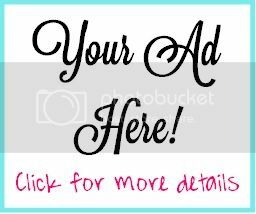 The deals on this site focus on beauty, health, entertainment, food, etc. It has a lot of categories, but you will have to check back daily for more deals to be added! Plum District is a unique deal site in that is focuses on deals just for moms and families. These deals are great and more specific if you are looking for familiy oriented deals! Dealster has few deals each day, which is why you have to keep checking back for the daily deals (they truly are daily!). They cover deals from restaurants to beauty treatments to products. 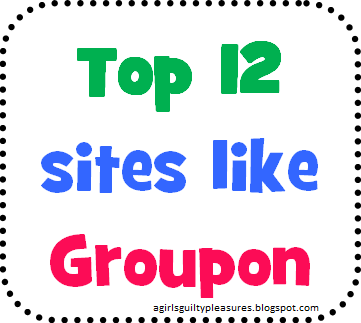 Enjoy this list and please comment with any additional sites like Groupon that you can think of! Hey nice post and informative, i am so inspired here and also great daily deals you posted here keep continue sharing. www.zoograb.com is an awesome one. You can actually drop the price down to what you want to pay and then buy! Likes noticeably strengthen the recognition of one's web page and whilst using the proper amount depend; a lot of folks is going to be keen on your account. www.buyrealiglikes.com/buy-instagram-likes-on-all-pictures-2/ The organizations that supply these specialist services, will give you with non-automated or robotic likes and provide you with real Instagram likes. The nice issue relating to this is always that they are promptly despatched on your account so you will not have to wait that a great deal. And when you're a compact company, rising your Instagram likes may very well be beneficial.